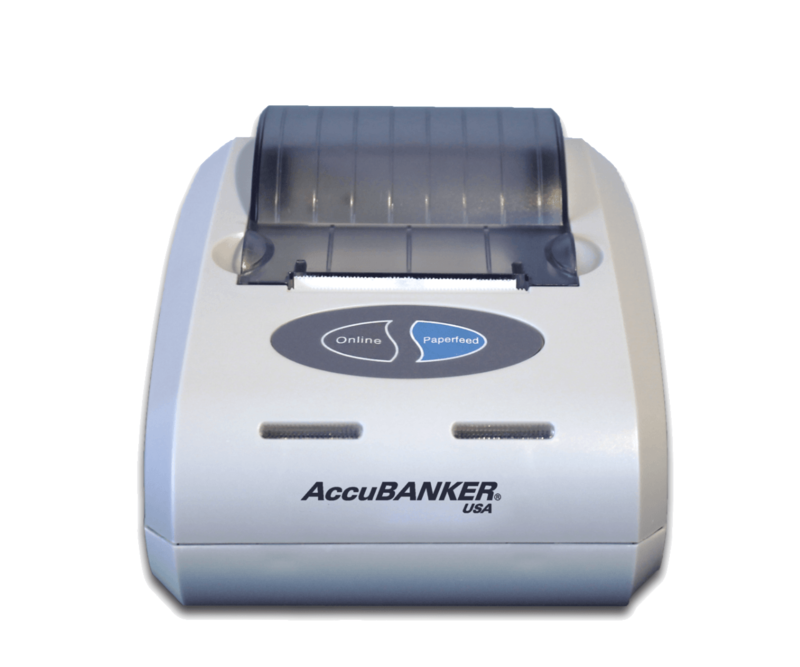 Accubanker MSYS10 Bill and Coin Counter with printer is use to organize and count the coins and currency for one or more cash register. It can counts both coins and currency. 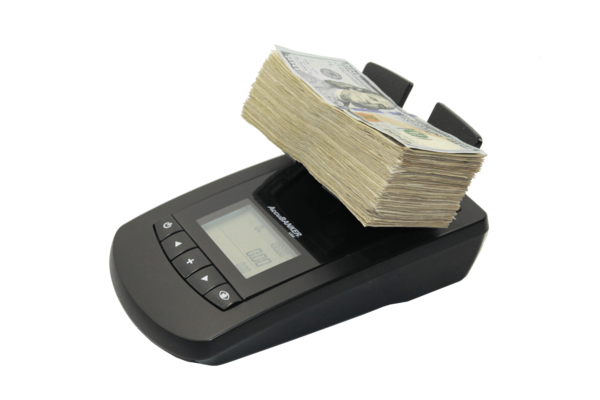 This unit doesen't check for counterfeit notes or coins. 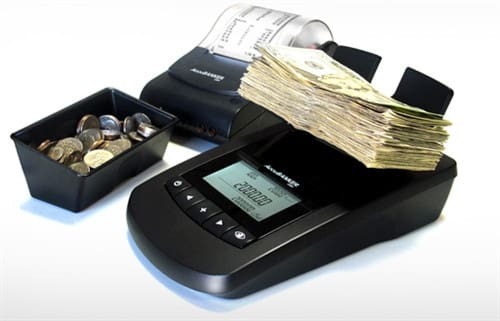 To verify and count a cash register inserting coins in the large cup provided with the unit, it will verify and show the total of each denomination one cup dinomination at time. After counting coins you can continue with cash counting. 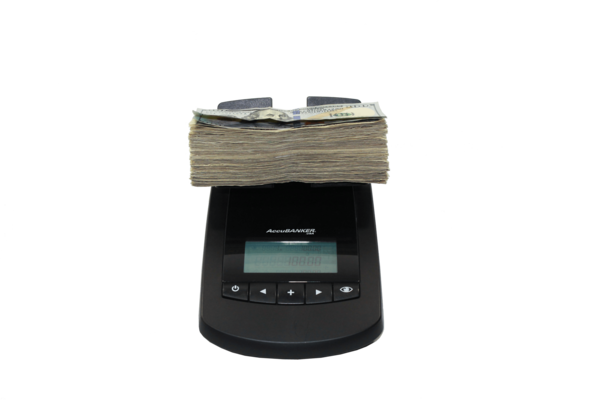 Everyting will save in the memory and in the end you can print the total showing by each denomination. The program in the unit is set to count coins and currency in one run. Unit Dimensions: 9" x 5.5" x 4.3"
9" x 5.5" x 4.3"